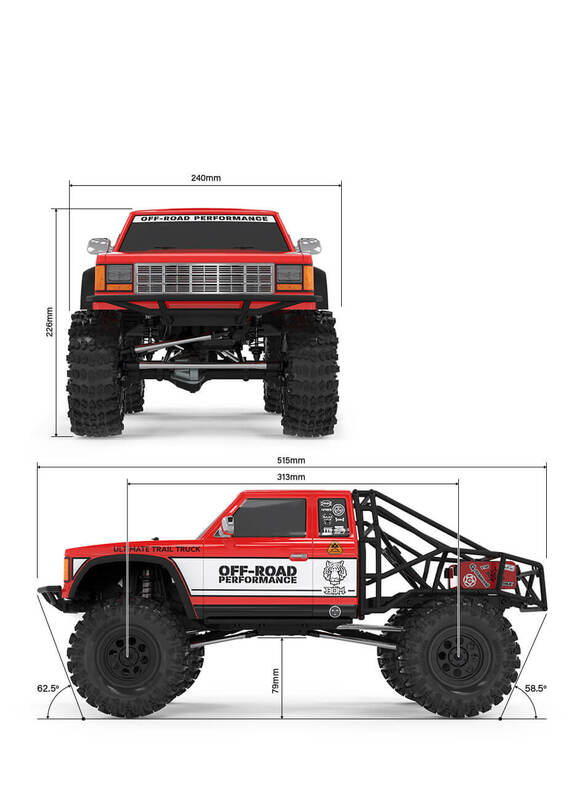 GMADE GS02 BOM1/10TH Trail Truck Kit. 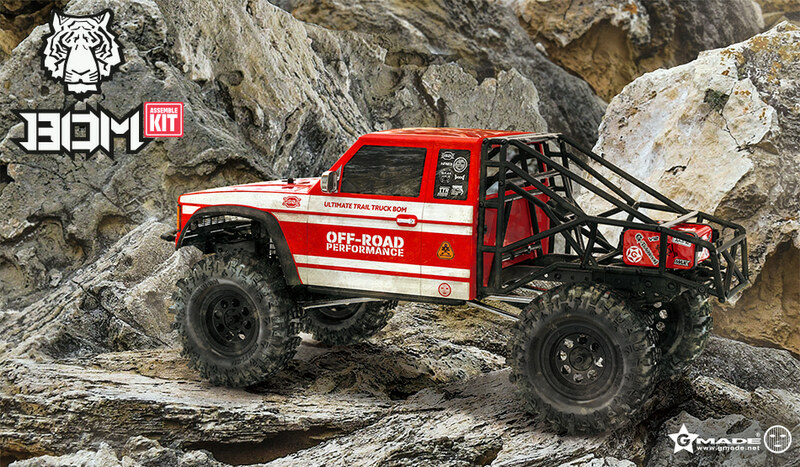 The latest new model to arrive on scene is the BOM Ultimate Trail Truck from GMade. This assembly kit brings an array of chassis adjustments and considerations, all focused on making the BOM a fun, high-performing machine. 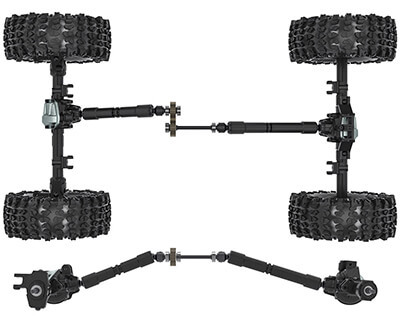 The front and rear axles have been crafted to produce a minimum amount of scrub radius, allowing the steering servo to function to its full extent. Other notable highlights include a chassis-mounted steering servo, a metal ladder-frame chassis, aluminium suspension and steering linkage and a locked differential. The GS02 frame is designed to look like a realistic chassis from a real car and is made from a high strength steel. 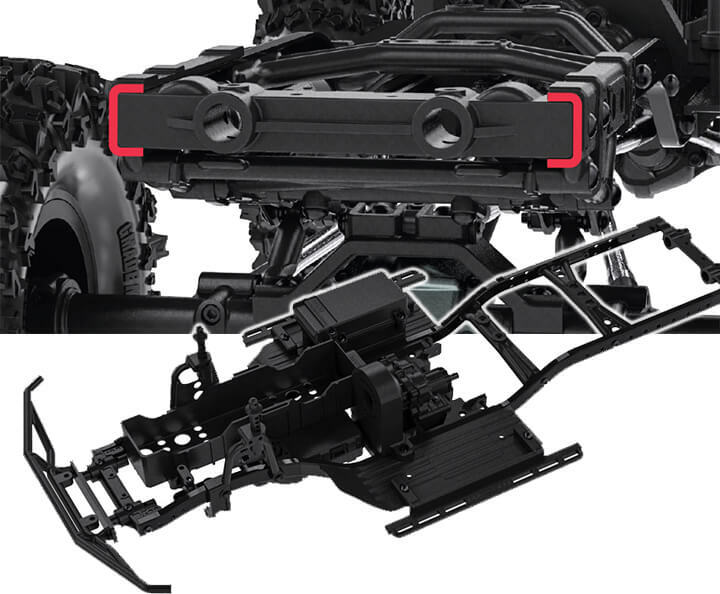 The C-channel side rail is hex wrench bolted with cross members to help reduce twisting and warping. The steel parts are black powder coated to help prevent rust and corrosion. The drive train of the BOM is arranged in a straight line to reduce the stress on the universal shafts, this helps reduce the loss of driving power by maximizing the driving efficiency. The TTR transmission and dual slipper clutch help the BOM deliver power and maximum torque for super stable acceleration over any terrain. The GS02 features a rear cantilever suspension system that is designed to enable the use of flat beds and full drop beds, coupled with SD scaler shock absorbers it provides a smooth motion and big wheel travel. 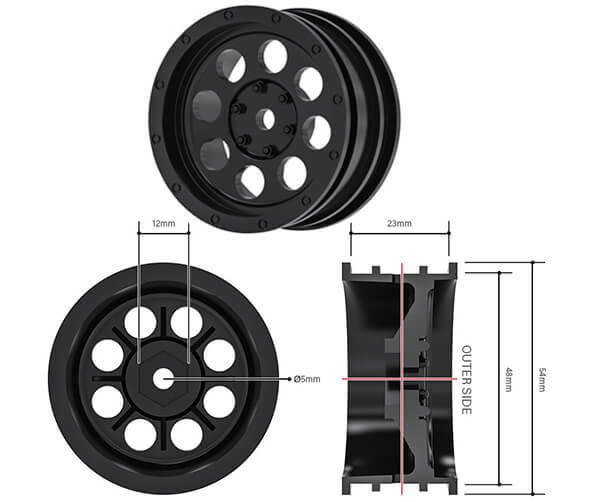 The SD scaler shock absorber have been optimized for scale trucks and will help you to drive your BOM over rough surfaces as they are durable and adjustable. Extra parts are also included in the kit so you can have a more conventional rear shock set up if you want. 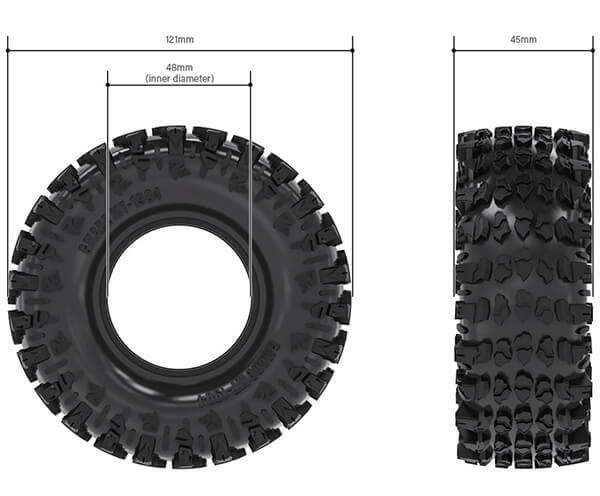 For ultimate grip the BOM is supplied with Gmade MT-1904 Tyres on NR03 1.9 inch wheels. 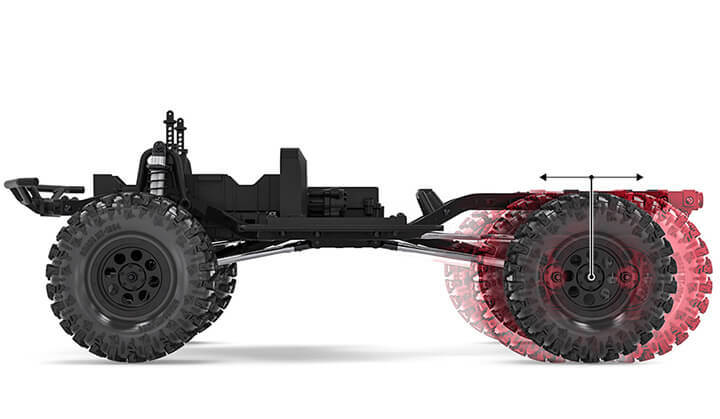 The super soft tyres provide a high level of traction when crawling but are also suitable for general off-roading. 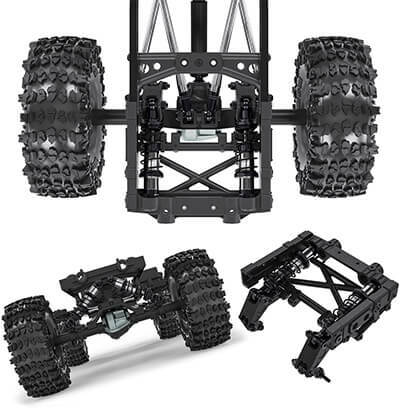 Please Note: This kit requires the following for completion: RC 2-channel surface frequency radio system, 7.2v battery and charger, Electronic speed control, RC electric motor, Steering servo, tools, paint for polycarbonate body.